There are so many great places in Florida to call home. It can be very difficult trying to decide which town or city will be the best place to call home. Many people head right for the middle of Florida and they end up calling Orlando home. There is absolutely nothing wrong with Orlando, but there may a better city in Florida to call home. If you like the big city life, then take a closer look at what the city of Jacksonville has to offer. Movers.net hit the road again. This time we asked our readers what they thought about the city of Jacksonville. The response was overwhelming. Is Jacksonville the right city for you to call home? Keep reading to find out. 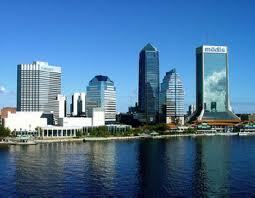 There are several big cities in the state of Florida, but the city of Jacksonville takes the crown as the largest. Not only is Jacksonville the largest city in Florida as far as population goes, but it is also the largest city in Florida in terms of overall land size. Jacksonville takes up 885 square miles. That makes Jacksonville the largest city in terms of area in the entire United States. This area is divided amongst land and water. 767 square miles of it are land, and 116 square miles of it are water. The population in Jacksonville is just over 800,000 people. That means that there are about 1000 people per square mile. Jacksonville is big, but it is not very crowded. The Jacksonville economy has two things going for it. The St. Johns River, and the Atlantic Ocean. This is the place in Florida where the two meet. The St. Johns River is the largest river in the state, and in the early days it was how a lot of people and supplies got from North Florida to South Florida until Henry Flagler brought the railroad. That changed everything, but today the port of Jacksonville is still one of the largest and most used ports on the East Coast of the United States. The cost of living in Jacksonville is right on par with the rest of Florida. You can expect to pay right around $40.00 for a meal for two at your average restaurant. A meal for one at a fast food restaurant will run right around six bucks. A dozen eggs will cost just over $2.60 and a loaf of bread will run around $2.25. Apples and Oranges will cost approximately $1.50 per pound. Living in the city is not too expensive. For a three bedroom apartment you can expect to pay right around $1300 per month. That same apartment outside of the city will cost just over $1100 per month. The average monthly salary is right around $3500. Jacksonville is a great place to call home. You can get a taste of the big city life without all the crowds that a big city like New York has, and the cost of living is moderate when compared to other large cities. Previous Previous post: Thinking About Moving To Tampa? Next Next post: Is Albuquerque A Good Place To Call Home?